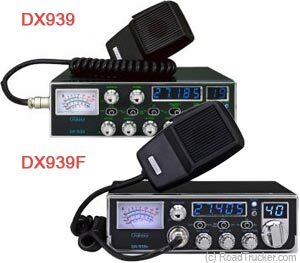 The Galaxy DX939 is Galaxy's best AM only CB Radio. The DX939 includes a Blue lighted Frequency Counter with On/Off Switch and it is packed with features. A StarLite Faceplate provides backlighting for all lettering. The DX939 has jacks for PA and External Speaker, as well as other features. The functions are the same as the full sized DX939, but in a Mid-size chassis will fit in the overhead consoles in the trucks.